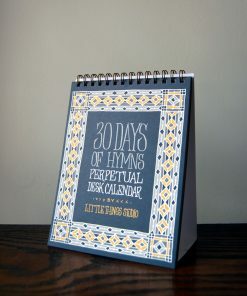 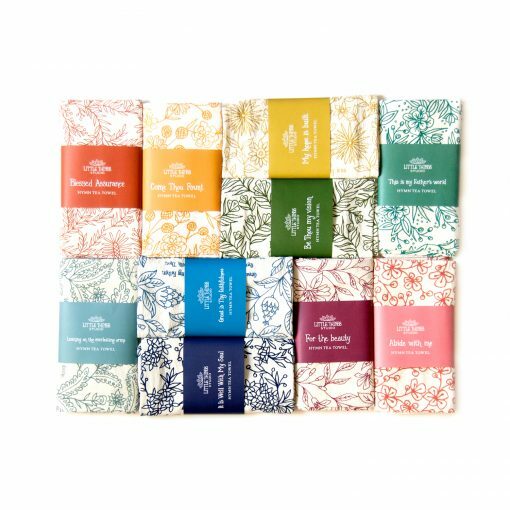 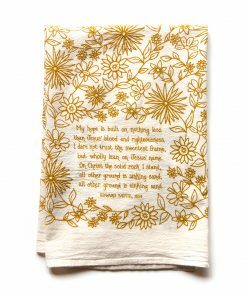 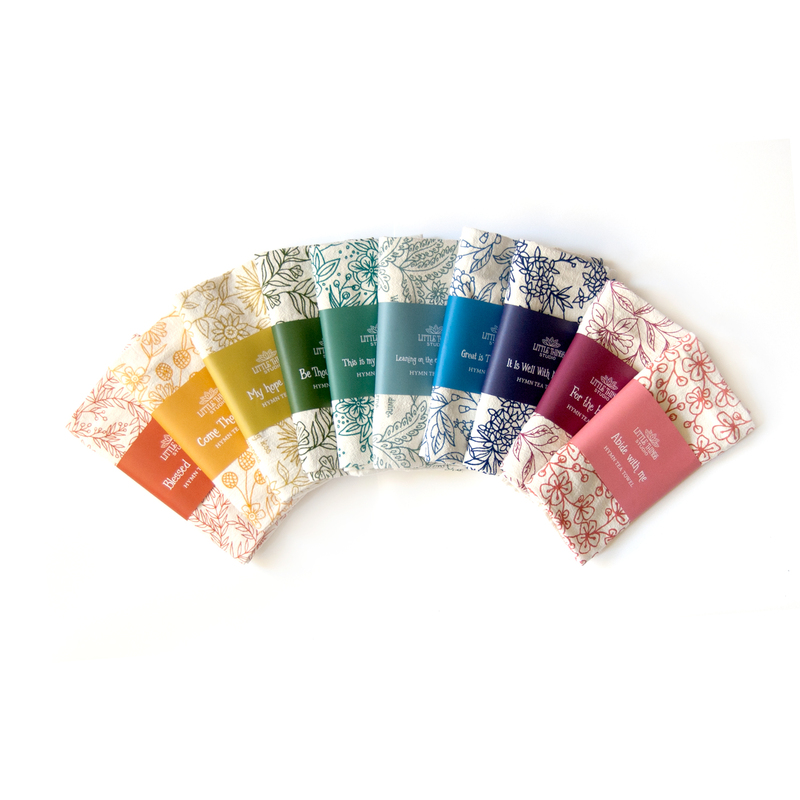 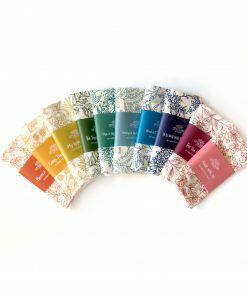 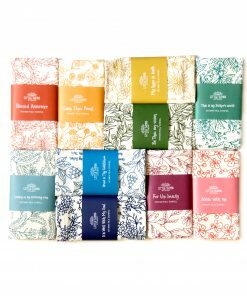 It’s a RAINBOW set of 10 hymn tea towels with floral designs printed on a 100% cotton tea towel. 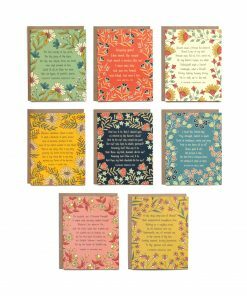 You save $32 when getting a set of 10, which is 20% off. 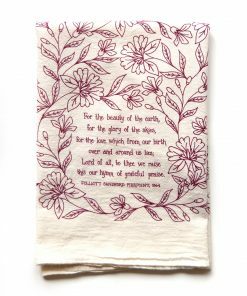 The towels come folded with belly bands for gift giving. 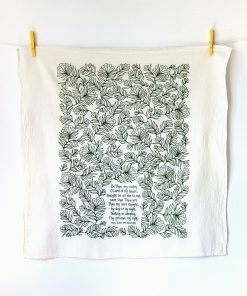 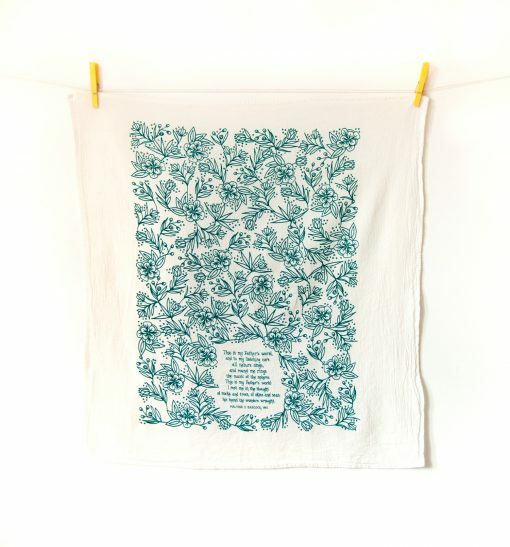 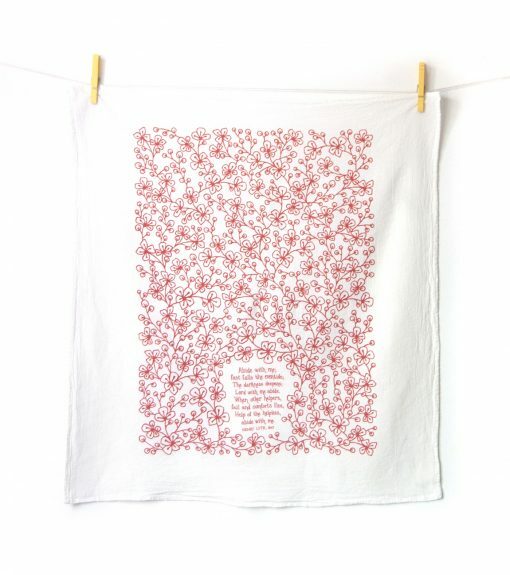 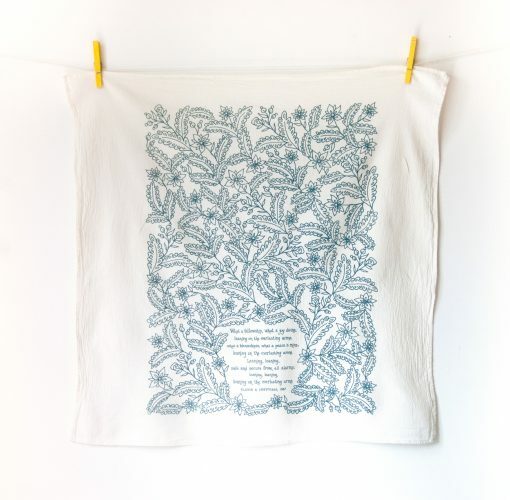 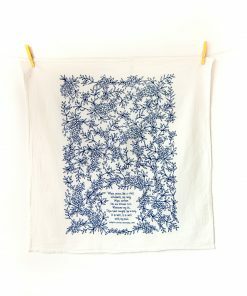 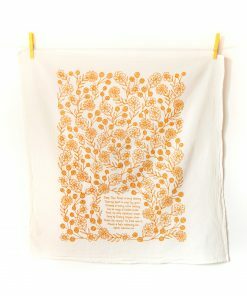 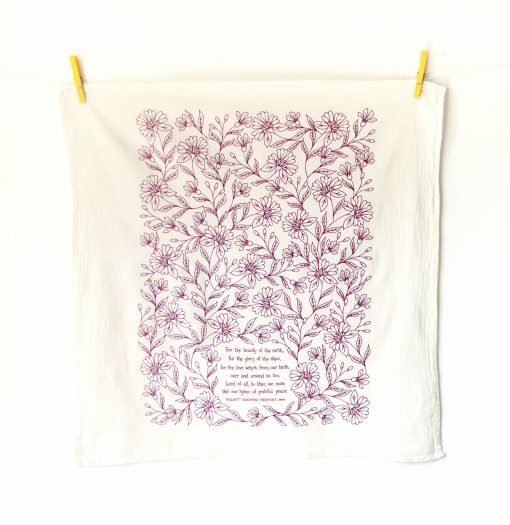 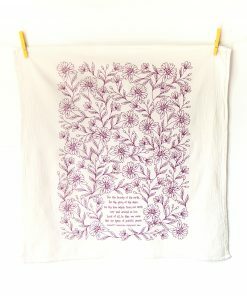 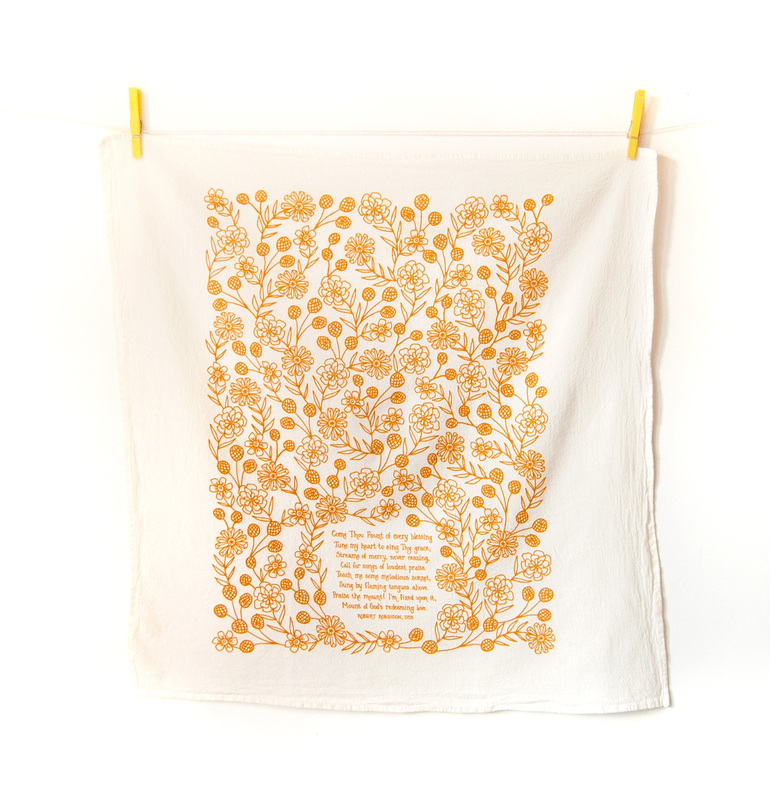 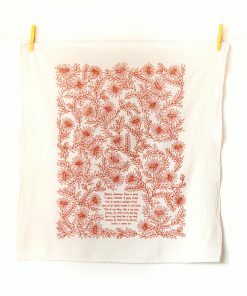 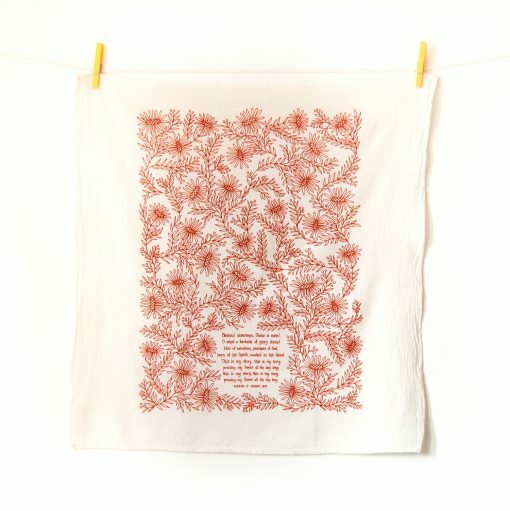 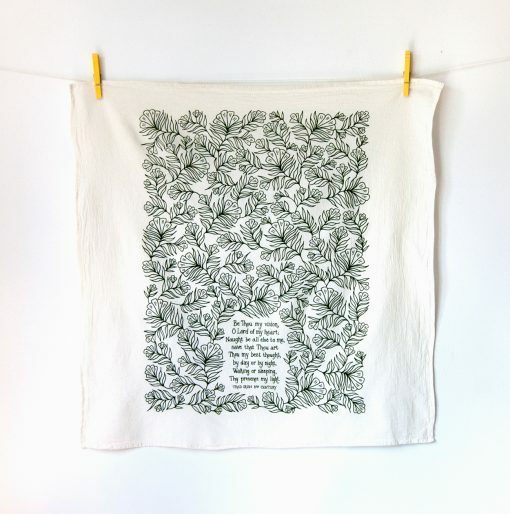 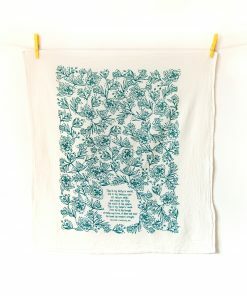 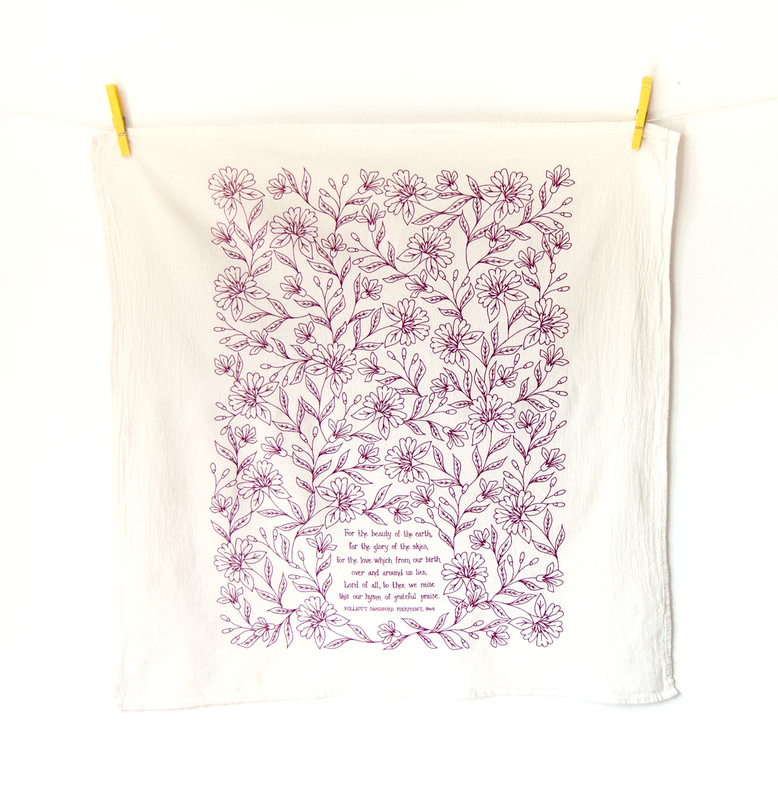 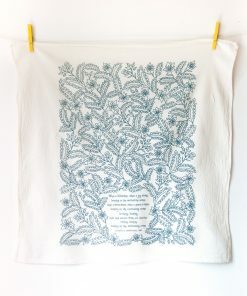 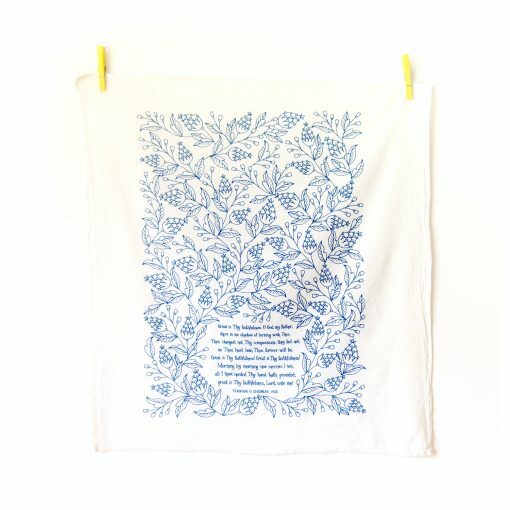 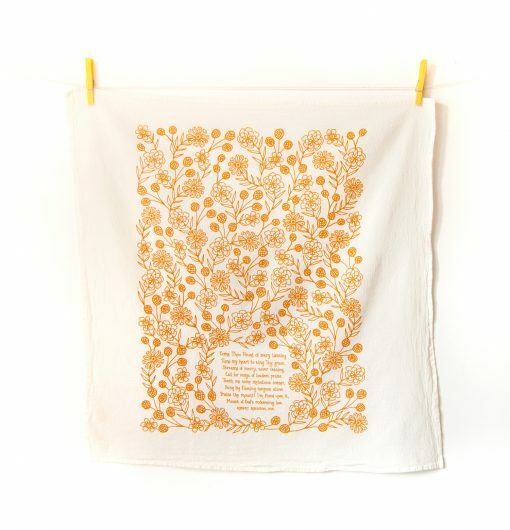 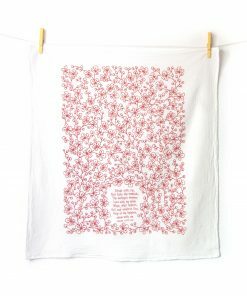 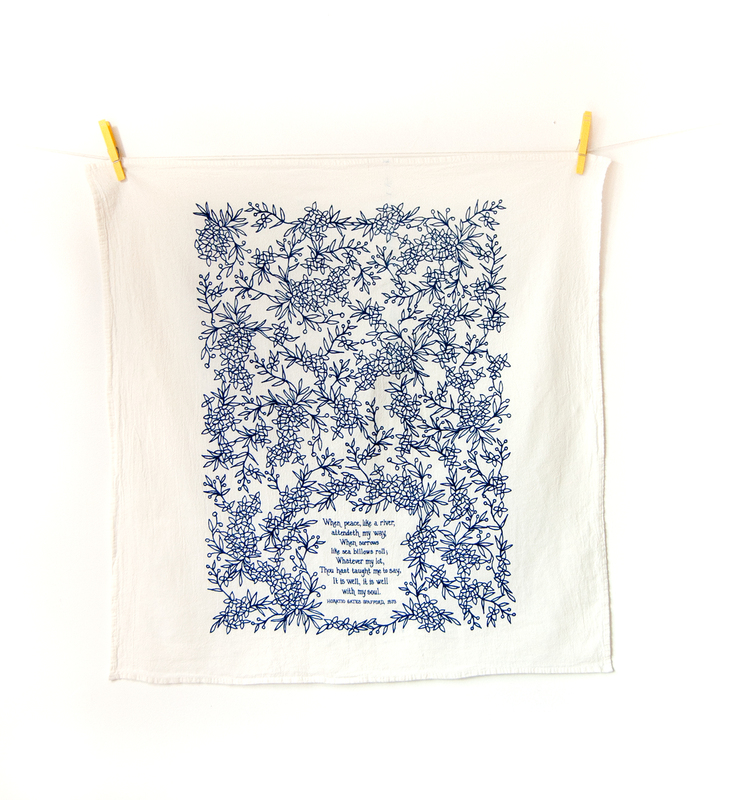 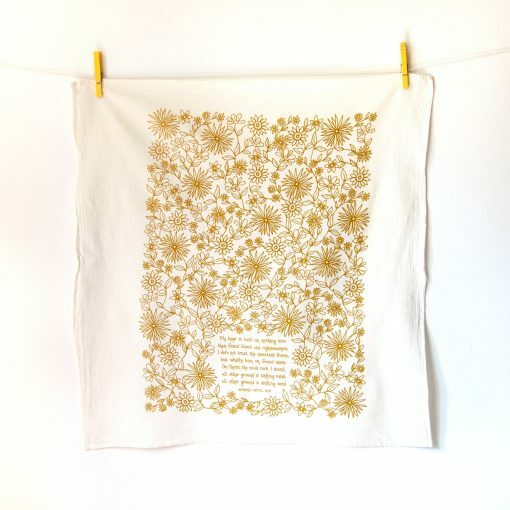 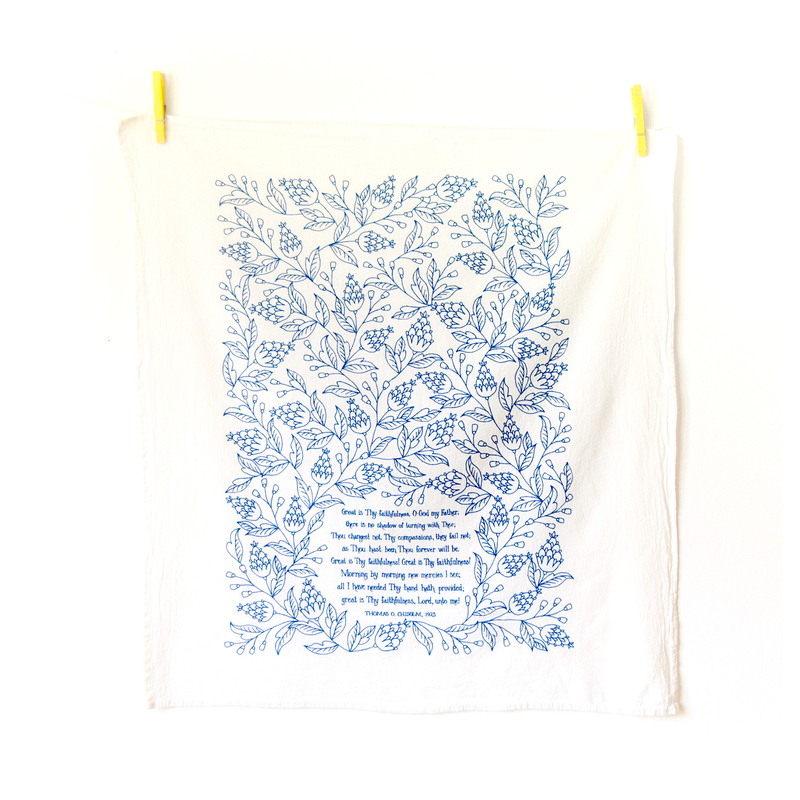 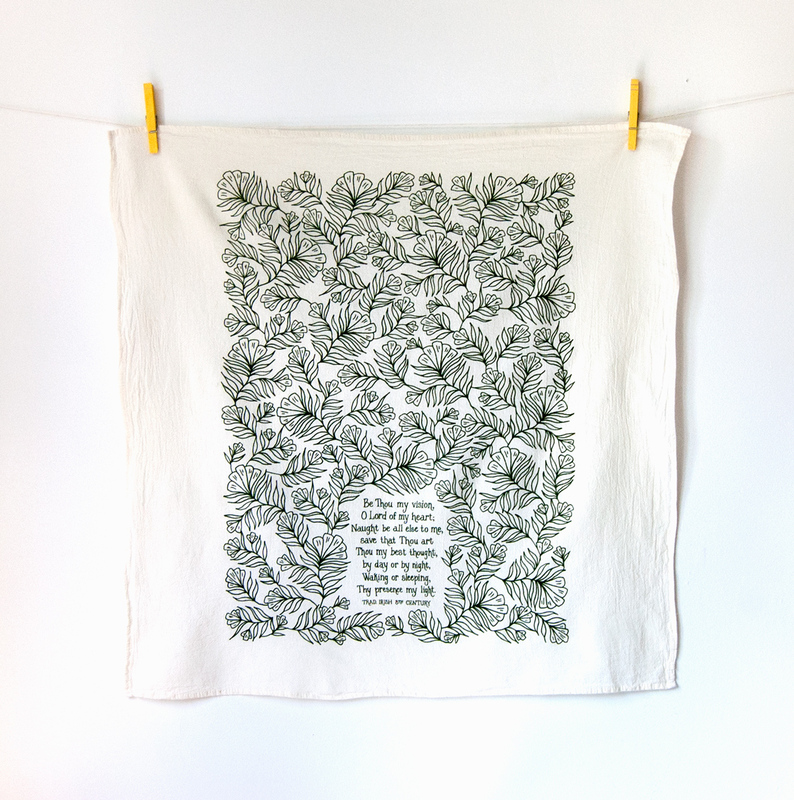 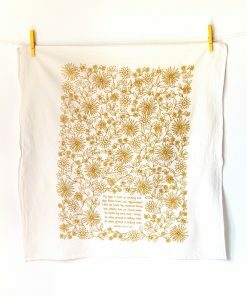 These tea towels look lovely when folded to display on your sink or oven. 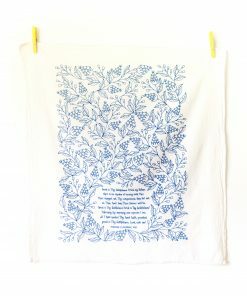 But for those of us who just throw our towels on a hook, the tea towel still looks pretty unfolded. 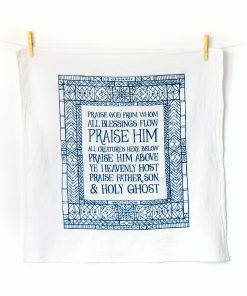 • Hymns include: My Hope is Built in gold, For the Beauty of the Earth in deep magenta, Be Thou My Vision in forest green, and Leaning on the Everlasting Arms in slate blue, It Is Well With my Soul in navy, Great is Thy Faithfulness in cobalt, This is My Father’s World in emerald, Abide With Me in coral, Come Thou Fount in mustard and Blessed Assurance in rust.